One of the pleasures of traveling is trying new foods and different ways of preparing tradional meals. Everyone has his preferences when it comes to food. 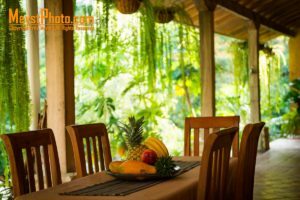 Thus it is difficult to determine where you can find the best food in La Ceiba. 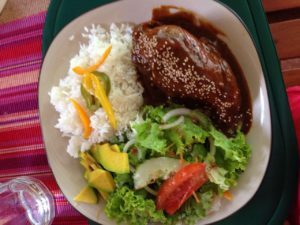 There are several restaurants in La Ceiba that offer outstanding food. But where can you find the best food in La Ceiba? La Villa de Soledad is a bed and breakfast, not a restaurant. Our isolated location on the Cangrejal River Valley makes it hard to find nearby restaurants. Because of this, we do offer our guests lunch and dinner when they wish to eat while spending the night with us. If you go by the reviews that guests put up on travel sites such as tripadvisor, you would think we are a restaurant! Guests who stay and have a meal with us rave about the food we serve. Soledad, my wife and fellow innkeeper and wife is not a chef. She has never studied at a culinary school. For that matter, she has never taken cooking courses! Yet she has a natural knack when it comes to preparing food. I compare it to singing, you can either carry a tune or you can’t. I can’t carry one for anyones business! But Soledad can sure cook a meal! She has a passion for it. She also enjoys experimenting. If she is watching TV, she usually is seeing one of the cooking programs that air on TV. She considers it a good way to get fresh ideas for her meals. Soledad did work for several years at the restaurant in the Hotel Marina Copan, in Copan Ruinas. There she was a waitress, and as such she would be in and out of the kitchen during the day. There she learned many tricks that she puts to use when cooking a meal for our guests. She also loves to go out to eat to different restaurants. Soledad enjoys trying different dishes, and likes to guess what the ingredients are in her meal. She will ask, although not everybody shares their secrets. Without doubt, one of the places where you can find the best food in La Ceiba is at La Villa de Soledad! The one drawback, is that we do not have a restaurant that is open to the public! 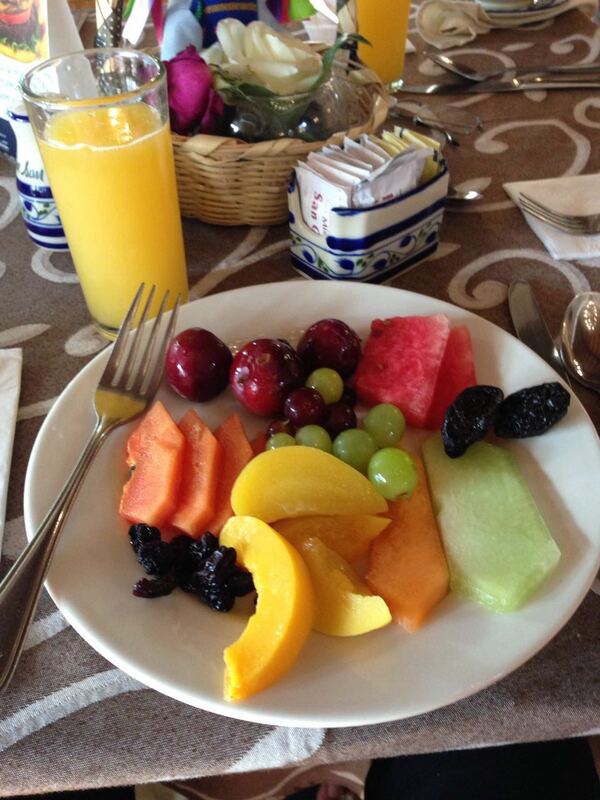 If you wish to try Soledad’s outstanding meals, you will have to spend at least a night at La Villa de Soledad B&B. If you do visit us to spend the night, you will be glad you did. Our setting is awesome! Our lovely view over the Cangrejal River to Pico Bonito National Park is yours to enjoy. You will be lulled to sleep by the fast waters of the Cangrejal River. Morning will greet you with a natural symphony of birds celebrating a new day. Your cozy room opens out to our gardens, were you can relax in your own personal hammock and see the day break! But getting back to the best food in La Ceiba, you will find that Soledad will not offer you a printed menu. She will give you a couple of options to choose for each meal. A meal will cost you between 13 and 16 dollars. It can be a bit more expensive depending on what she offers you. She only prepares food for our guests, so take advantage of this unique privilege! A good time to visit La Villa de Soledad is during our low season. Rates are 30% off high season rates, making it a bargain at only $70 dollars per room in a double occupancy. This includes breakfast and taxes! That is only $35 US per person! Our low season rates are in effect between now and December 22nd. Give yourself a break, and enjoy the best food in La Ceiba at La Villa de Soledad B&B!